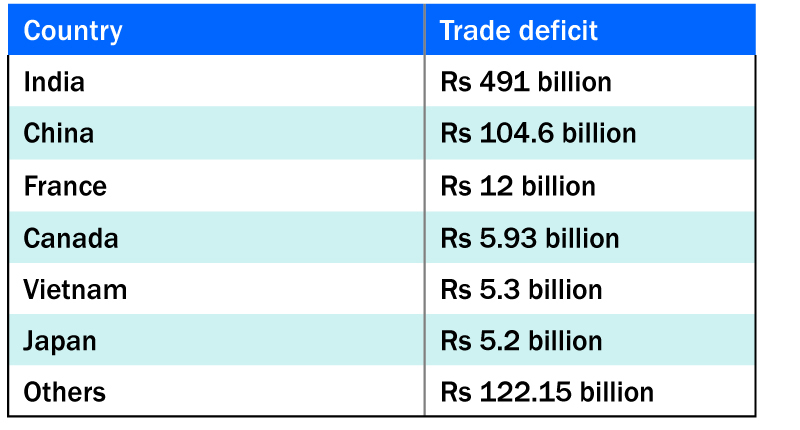 KATHMANDU, June 17: Trade deficit of the country ballooned year-on-year by 35 percent to Rs 746.18 billion in the first 10 months of the current fiscal year. According to a latest data of Trade and Export Promotion Center (TEPC), the total trade deficit of the country stands at Rs 746.18 billion, which is Rs 195 billion more when compared to data of the first 10 months of the Fiscal Year 2015/2016. The trade deficit at the same period in the last fiscal year was Rs 551.06 billion. The country imported goods worth Rs 807.25 billion and exported goods worth mere Rs 61 billion in the first 10 months of 2016/2017. The overall trade of the country stood at Rs 868 billion - a rise of 30 percent in comparison with the same period of last year. 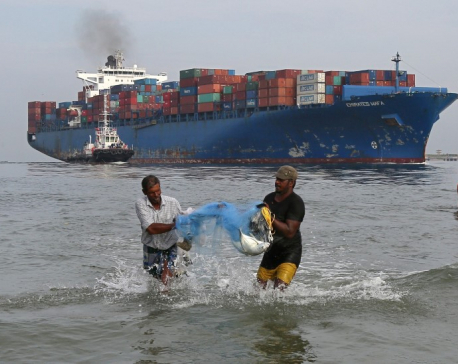 According to the data, imports surged by a massive 32.8 percent, while exports went up by just 7.7 percent. Ojha said it has become imperative that the authorities seriously work toward increasing agricultural production -- a reliable sector that can help decrease trade deficit. During the 10 months of this fiscal year, payments made for four imports -- petroleum products, iron and steel products, automobile and its parts, and machineries -- alone exceeded country's total export receipts. The country imported petroleum products worth Rs 99.65 billion, and iron and steel products worth Rs 84.21 billion. Likewise, it imported motor vehicles and its parts, and machinery parts worth Rs 68.45 billion and Rs 68.27 billion, respectively. During the period, Nepal exported goods worth Rs 35 billion and imported products worth a massive Rs 526 billion from India - the largest trading partner of the country. Trade deficit with India stood at Rs 491 billion in the first ten months, up from Rs 344 billion in the same period of the last fiscal year. Likewise, trade deficit stood at Rs 104.6 billion with China, Rs 12 billion with France, Rs 5.3 billion with Vietnam, Rs 5.2 billion with Japan and Rs 5.93 billion with Canada. The country imports majority of products from India, China, France, Canada, Vietnam, Japan and the US.